Please contact me via my contact page with any comments or questions. newsletter updates that include workshop and class info as it is generated. Pastel Tapas are stand alone, 3-hour classes, held once a week, that allow for the freedom to take as few or as many classes as you would like. 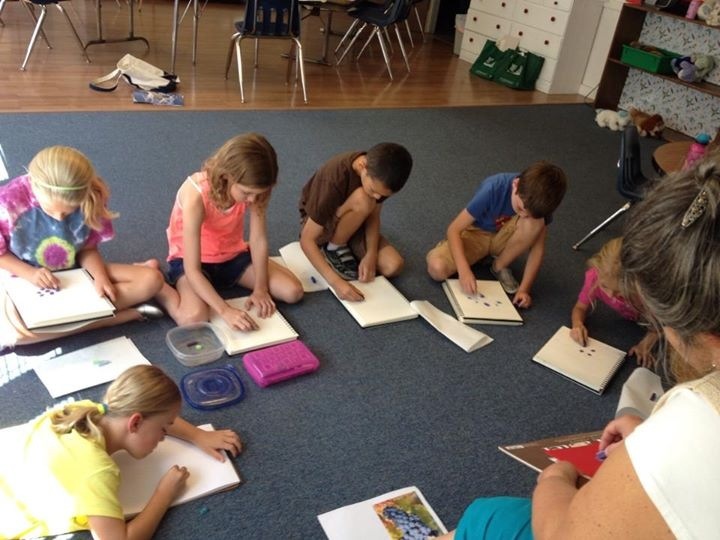 Each class will focus on a theme, and will cover specific skills and techniques related to and supporting that theme. You can choose the ones that appeal to you, that will support your skill set at the level it is today, and that fit into your schedule. With the idea in mind that a label, such as “beginner” or “intermediate” does not mean the same thing for one person as it does for another, you can be the judge as to whether the skill set that will be taught in a particular class is one that will be of benefit to you, personally. Maybe you consider yourself an intermediate pastelist, but feel the need to go back to relearn something that would be more elemental - well, now you have the opportunity to do that without committing to a full course of beginning lessons. Or, you can select classes that will increase your intermediate level skills. On the other hand, for the pastel newbie, I will offer periodic pastel introduction classes. If that describes you, be sure not to miss them when they are offered, so you can be ready to move on to some of the other classes. What will each class offer? I will post on my website a synopsis of the lesson plans for several classes in advance, giving you the information that you need so you can plan ahead and put the Pastel Tapas classes that appeal to you, on your calendar. Please help me in planning each class, by giving me the favor of your RSVP. You can contact me through my website ‘contact’ page, or fill out a registration form. For those who have their own materials (I have posted a materials list on my website ‘Workshops’ page so you can gather together what you have at home, and buy what you need) the fee is $45 per class. 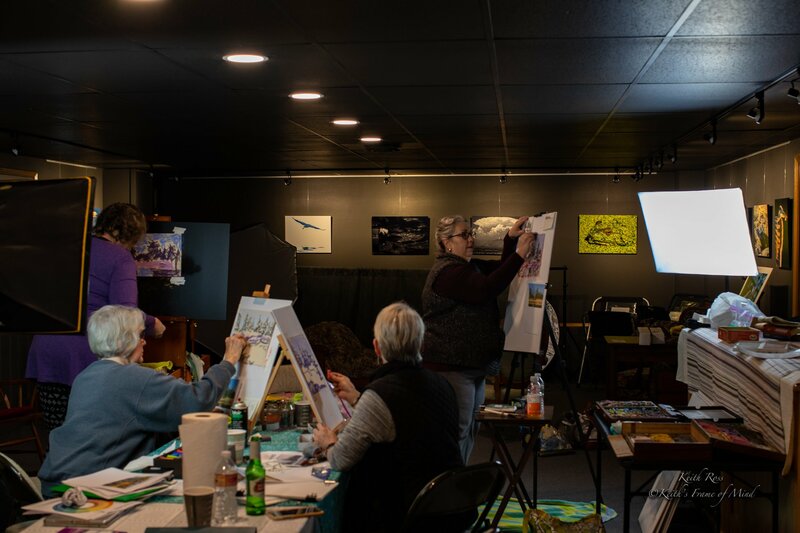 If you do not have pastels or other materials, and would rather not purchase any right now, the materials will be provided to you for that class, for an additional $20 per class. These will cover the basic lesson each day. You can also purchase extras during class, per item, like additional paper, etc., if you desire (Bring cash if you think you might want to buy extras). Pay when you arrive each day, with cash or card, either $45 or $65 for that day’s class, or pay for 10 classes ahead at any point along the way, and receive one class free, of either the $45 or $65 level. You can attend the 10 classes at any point along the way - all in a row, or choosing periodic classes until they total ten. Important! If you are planning to attend, and especially if you will need supplies, please let me know at least 24hrs in advance, so I can be prepared for you. You can go to my website and fill out the registration form on my Workshop page, or contact me through my website ‘contact’ page. 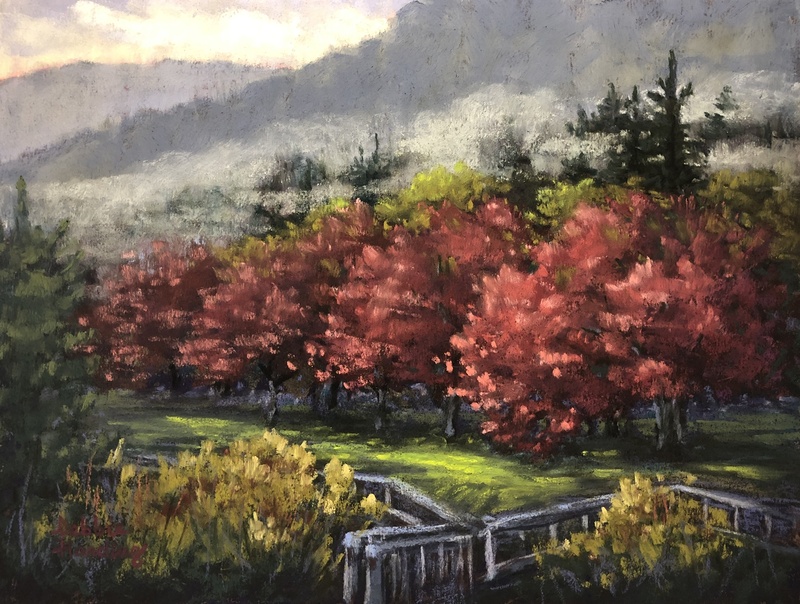 In response to so many who have asked for classes and workshops, I am working this out to provide you the opportunity to learn pastels or to increase in your pastel painting skills, and to share with you the fun of this exciting medium. It is my hope that by offering “Pastel Tapas: Smaller, bite-size classes,” that I can help to meet the needs of more folks and their varied schedules, and skill levels. 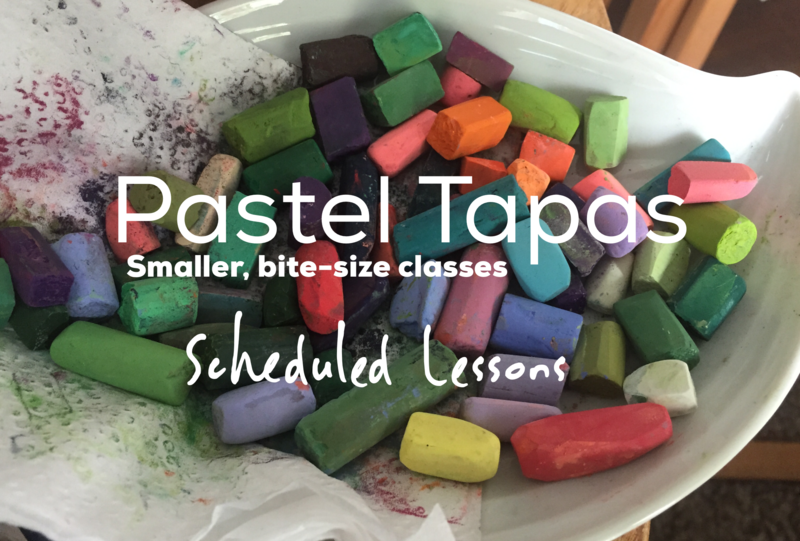 Click on the link below to see the Pastel Tapas schedule, and the synopsis of each class. 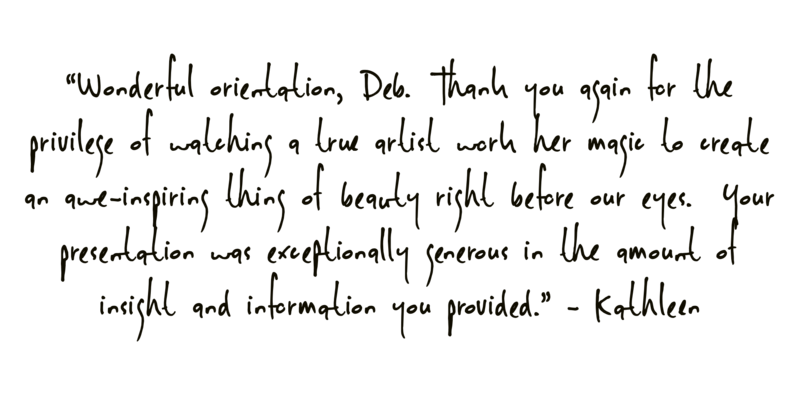 If you haven’t done so already, please sign up for my newsletter, at the very bottom left of any of my website pages, and check my website often for new class information - do keep up-to-date on the changes! I am excited about the new format of these classes, and look forward to having you join me. 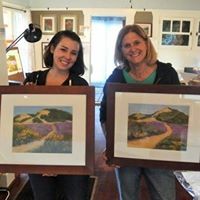 $50/month (not including workshop or class tuition): Online Coaching is for those people enrolled in a workshop, or taking Pastel Tapas classes, and would like to continue doing pastel painting at home to maintain their learning, or for anyone who would cannot attend classes but would still like some feedback and coaching on their at-home projects. Included are: From me - Two in-depth emails to you per month, in response to and giving feedback on photos you send of your work, and to questions that you may have. I will also send you additional helps at my discretion, like home assignments, reference photos, articles, and website links, etc. 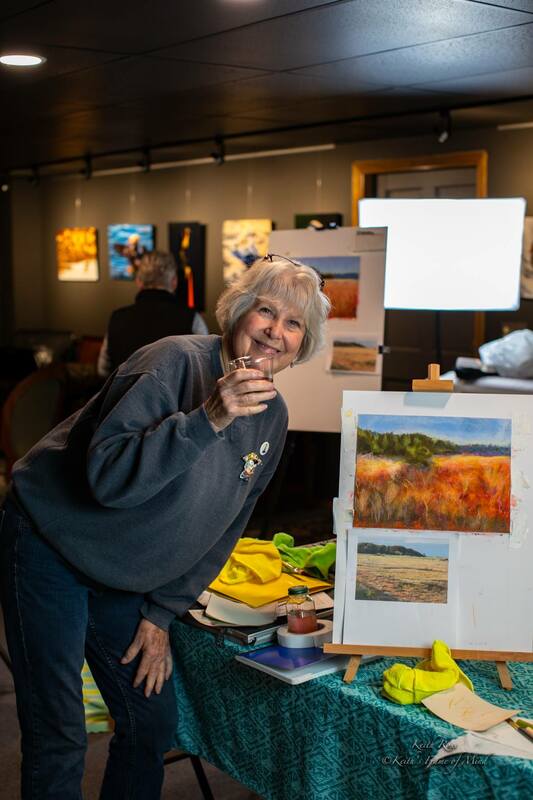 Click Here to Register For Workshops and Classes! Please open link above using either Internet Explorer or Safari. When filling out the form, if you are taking weekly classes, list the class date in the workshop date field. Certain pastels contain materials that have been determined to be hazardous. They are linked to the same pigments that are in other art mediums, like oil or acrylic paints. These warnings are included on many artists grade pastels, indicating that precautions should be taken when using them. This is your right to follow basic precautions if you feel the need. In my own personal experience, which is purely anecdotal, I have not come across any news of a Pastel artist who has become sick due to using the medium, though I have heard of folks who feel the dust to be an irritant. This has never been my experience, however. I personally follow some basic precautions which include not blowing on my artwork to raise up dust, keeping my face away from any falling dust, and keeping my hands away from my mouth or refraining from eating with dusty hands. Please do not blow on your pastels for your own sake and for those around you. In addition, I wash my hands after each pastel session. I have been using pastels regularly since 2008, and have not noticed any adverse effects, personally. I encourage you to follow these standards above, but also realize that there are people who take it a step further and wear masks and gloves. This is your right to do this, and I encourage you to look up data to see if there are any instances where health issues have been linked to pastel use, and to do whatever makes you feel most at ease. There are other products that we will use that have precautionary statements, like spray fixatives and isopropyl alcohol, and possibly others. Please use these with care, following common sense precautions, and become acquainted with the warnings printed on the containers. Use them at your own risk. 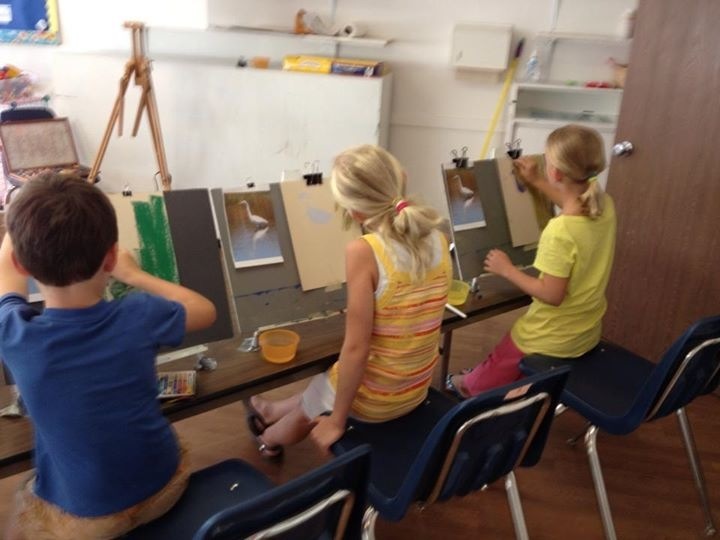 Beyond this, there are basic safety issues that are typical for an art class, like additional art related materials that may impede your free movement about the room. 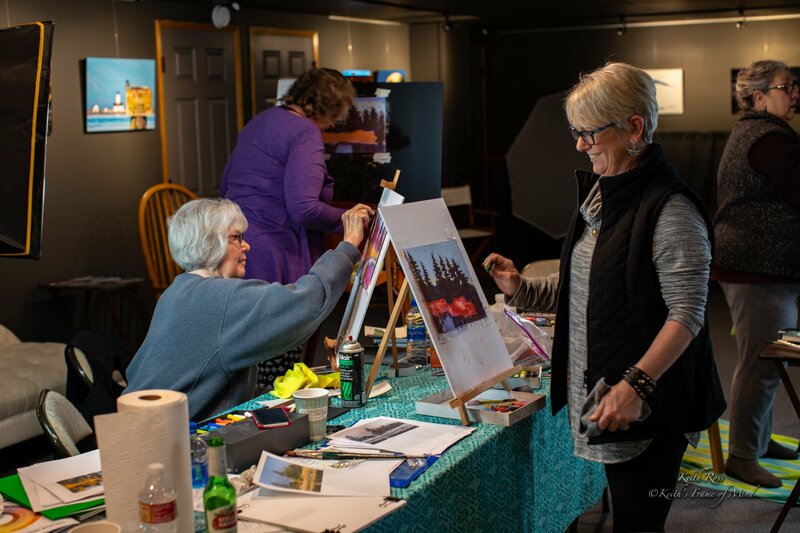 Please exercise caution when navigating around and amongst easels that are set up, tarps on the floor and table, and other materials that may be laying around. It is incumbent upon you to be mindful of your surroundings, and to follow these basic precautions. By signing the ‘hold harmless’ form that you will receive at your first class/workshop, and by checking the box on the registration form, you are saying that you have been informed of the possible risks associated with using these common art mediums; the possible risks in navigating around and amongst art-related materials placed around the room; and that you will assume any and all risk. You may pay for your class or workshop with a Visa or MasterCard, a check or in cash. 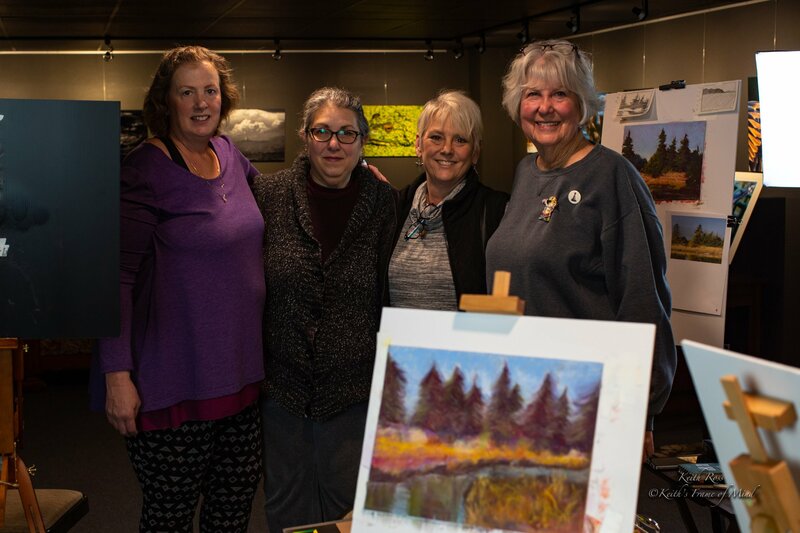 If you would like to pre-register, please submit registration using link above and mail your check to Debbie Harding, 325 E. Washington St #136, Sequim, WA 98382. To pre-register using Visa and Master Card over the phone, 707-235-7708, please text me first, so I can get my card reader ready for your call. Please feel free to contact me with any questions. 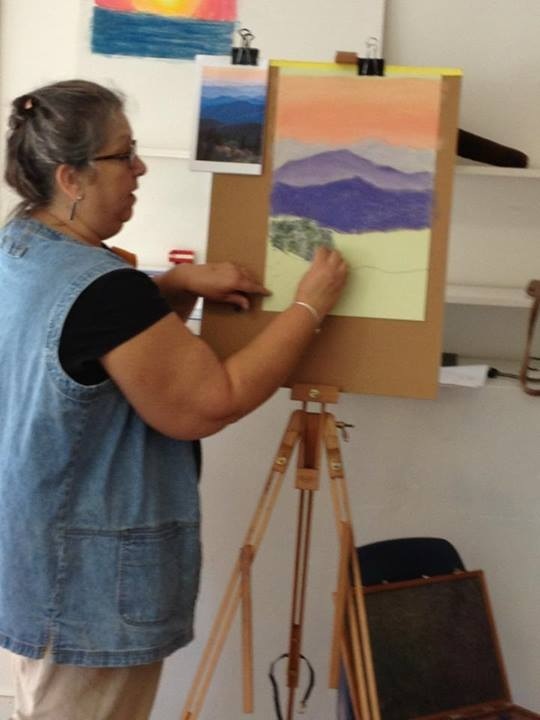 I would be happy to help you in making a positive decision to begin your wonderful journey in pastel painting! -Large plastic bag(s) to cover your work and supplies in case of rain. *To help ease any potential anxiety over purchasing pastel supplies, if you truly do not think you will use them again, I will offer a buy-back program on selected items, of up to 50% of your original cost, depending on the condition of the supplies, and as soon as I am able. Keep your original packaging, and the sales receipts. -Pastels are vibrant. They are made using the same pigments as other art paints, minus the oils and other mediums that diminish the color and colorfastness. -Pastels are immediate. 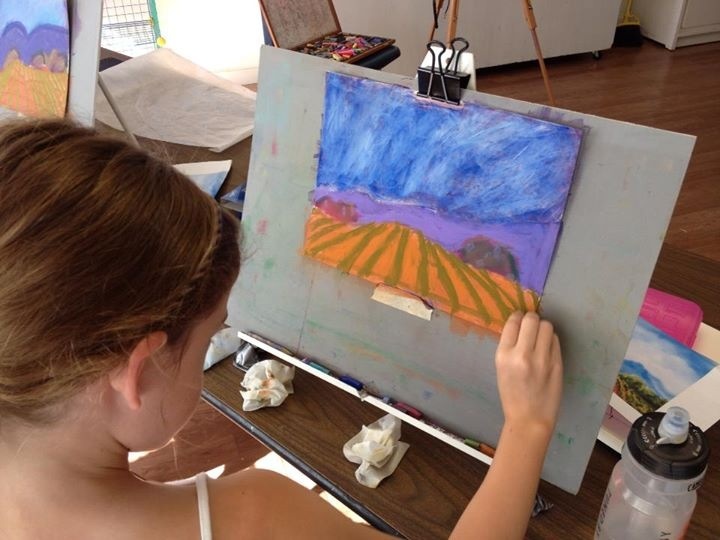 No need to wait for paint to dry when using pastels. 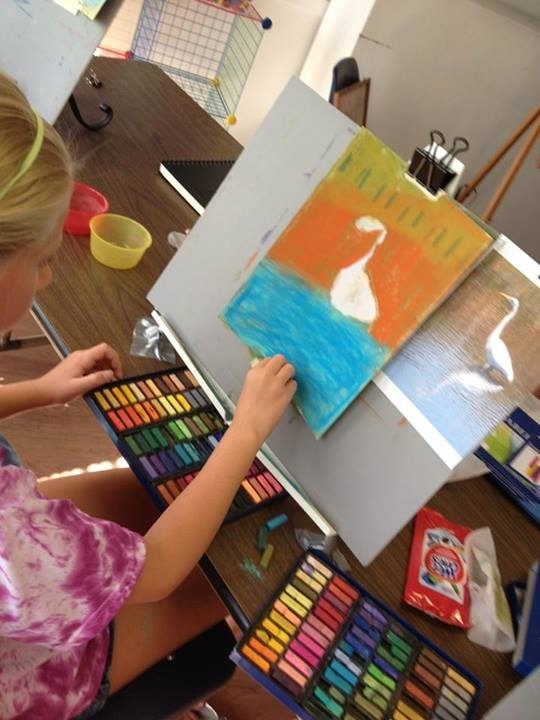 Using layer upon layer of color is possible in one sitting, and allows for very instantaneous results. -Pastels are easy to use. No need to spend time cleaning brushes and putting away paint. Whether you have all day to paint, or only a half hour, you can spend time painting. When you are ready to go, get up, wash your hands, and that’s it. -Pastels are easy to transport. Don’t worry about packing thinners, oils, and mediums. All you really need is a pad of pastel paper and your pastels, and you are good to go. -Pastels can be as archival, and even more so, than oil paintings. 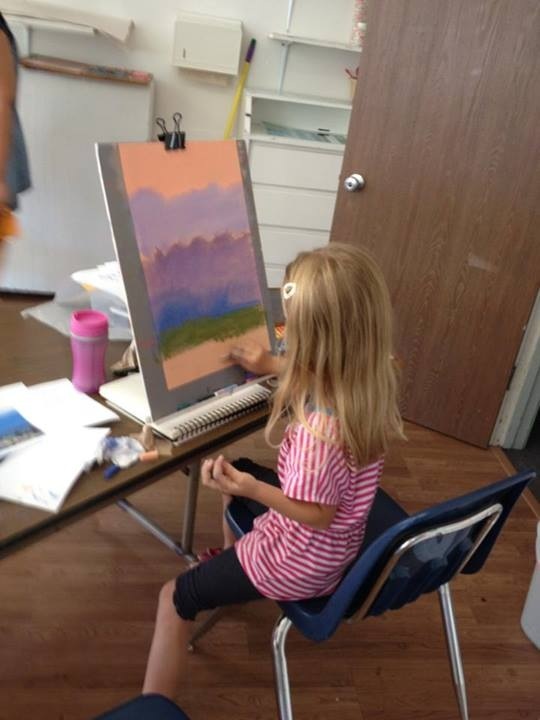 When painted on archival paper, and stored properly, pastel colors are more colorfast than other mediums. "As a first time 'user' - I learned what I need to continue pastel painting/drawing on my own. It's really fun! I liked the teacher, the setting and the time that was allowed for drawing.